Parents who part ways don’t get to move on with their lives in the way that childless couples do. Having a child together means you will have to relate with your ex for the rest of your child’s life. So how do you transition from ex-lovers to co-parents in a calm, conscious way, with your child’s best interests at heart? I’ve traveled this bumpy road with my ex-husband and our two children. Here are the tools that have smoothed the way and laid a solid foundation for our new family dynamic. 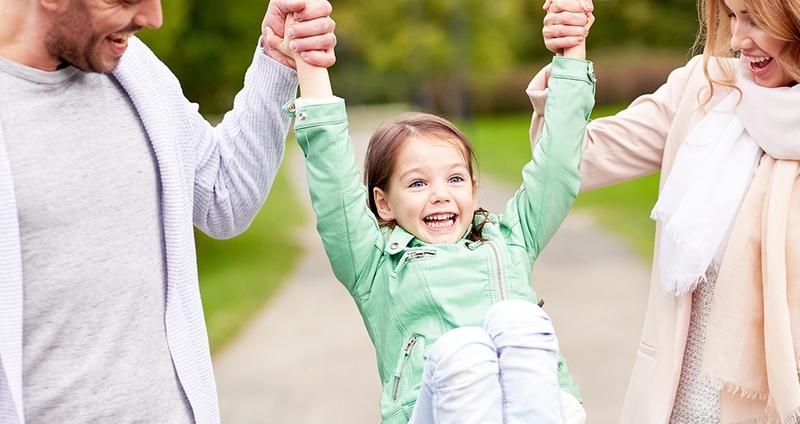 An official parenting plan limits your need to constantly negotiate with your co-parent. Kids of all ages face emotional upheaval and uncertainty when their parents move apart. Take extra care for how you interact with and refer to their other parent. Breakups are messy, but children shouldn’t know the grown-up details or have to choose sides or be in an emotional tug-of-war between their parents. When my children see me and their dad being kind and respectful to one another, we can all enjoy coming together for occasional family dinners, special events and birthdays. If your co-parent has a new partner, applying the same respect and kindness to them (regardless of how you really feel) will make life much smoother for your children. An official parenting plan limits your need to constantly negotiate with your co-parent. This legal document includes all the nitty-gritty details of your parenting agreements, including child support and other expenses, schedules for overnights and school, pick-up times, decisions about holidays, medical care, etc. Some parents use it as a guideline and are flexible in changing the details as things come up. In cases of high conflict, this document holds parents liable for any issues that arise. If you’re starting from scratch, sample parenting plans and guidance based on children’s ages can be found online. The parenting plan is a good place to specify how you will communicate about your children. Children should never be made messengers between their parents. In our case, e-mail works best unless it is a more pressing issue; then we use text messages or a phone call. We use Google for a shared calendar of our children’s schedules and to track our shared expenses. There are also apps to organize these details. Two favorites are 2Houses for iOS, and Our Family Wizard for both Android and iOS. While you can’t expect your ex to live by your house rules in his own house, you can request that there be some consistency in your homes to make the transition between houses more easeful for your children. For example, having similar bedtimes, screen time limits and ample time for homework can help kids maintain a routine that is not disruptive to their sleep, health or learning. Listen. Keep an open mind and listening ear even if you disagree with your co-parent. Allowing the other parent to be fully heard without injecting your opinion mid-sentence goes a long way toward collaborative problem solving. Respond; don’t react. If emotions are high, ask for a time-out and come back to the discussion later. Choose your words carefully. Keep e-mail and text messages businesslike, brief and child focused. Work to let go of your past relationship hang-ups and keep the focus on what’s best for your child. Declare your house a peaceful zone. If you have a high-conflict co-parent, accept they may not ever change. Whenever possible, do not engage. Focus on your own behavior and remember you have a choice to remain calm and “be the bigger person.” Cultivate forgiveness and compassion for both yourself and your co-parent as you navigate new territory together. Peaceful parenting across two households is a gift that allows your kid to be a kid and grow into a healthy adult.